Join us in participating in Global Projects with students from around the world. Alaska, as the largest state in our country, is on the rim of incredible opportunities which will develop our young global leaders and create sustainability for generations to come. Join our global projects, or see what projects might catapult your development in global citizenship education. Together, we can celebrate kindness and taking care of each other. Join schools around the world as they (and we) celebrate The Great Kindness Challenge. See below for how we, and you, can embrace kindness at your school, in a small way. Go to The Great Kindness Challenge website to learn about amazing ways to get your school and/or community energized. It's that easy! Feel free to do as we do! •Why is kindness important for our school, world, and community? •Why can we show kindness together? What are kind things we can do for people we don't even know? •What are kind things we can say to people we don't even know? •We will then end by doing the attached activities and sending them to a partner school. Watch Becoming Writers through Global Education to be inspired to make learning come alive in your environment. 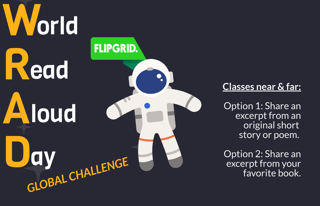 To connect your students to authors and writers around the world, contact me for assistance! Happy Global Learning! Sustainable Development Goal #16 addresses Peace and Justice. Become involved! About the project that started it all. Check it out! Join Tudor Elementary and make our mark on the world. See how. 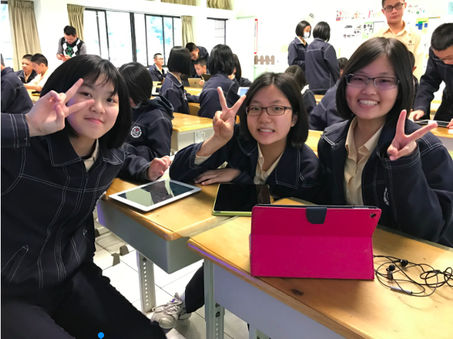 Join our global friends at Tsai Hsing School in Taipei, Taiwan as they collect student data with their project, Big Dayta, a fascinating look at school around the world, by the hour. Discover more. Alaska is a unique place and lots of people never get a chance to even visit. Here is the perfect opportunity to see and learn about Alaska. 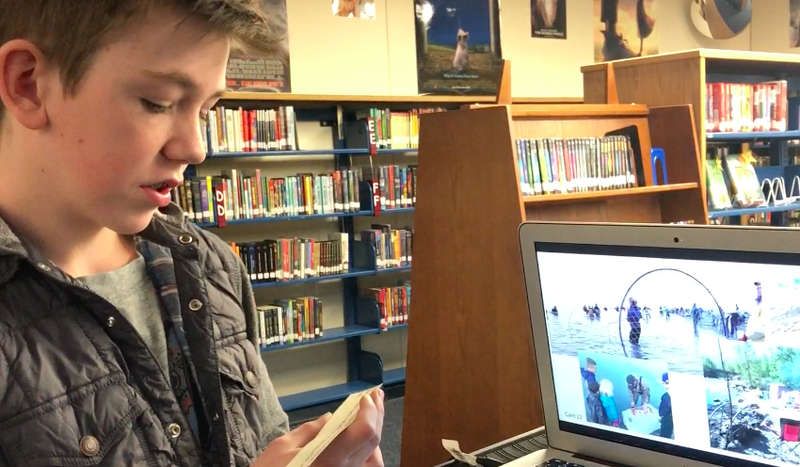 Sign up in Microsoft Classroom to have Alaskan students to teach your students about Alaska. We are Global Citizens. Watch our amazing video (password is Thundercats) on the link between peace and being a global citizen! Then share your thoughts with us. Connect with others and participate in a variety of activities and projects to promote reading as a universal human right. Lots of great resources are available to educators. In order to sustain our communities and our globe, we have to look at the relationship between our actions and the resources we utilize such as energy, water, food, and homes. How are we preserving these? What challenges do we face in our unique communities? What opportunities are present to take responsibility? Share together. Learn together. Take action together. You can join up here. Wouldn't it be great to compare permaculture from "here" to "there" (wherever those locations are)? Wouldn't it be great to think about the opportunities to be more sustainable in our own communities? Wouldn't it be great to showcase and highlight what we are doing to support our permaculture and share with other educators around the world? WON'T it be great to share this with students and teachers around the world? 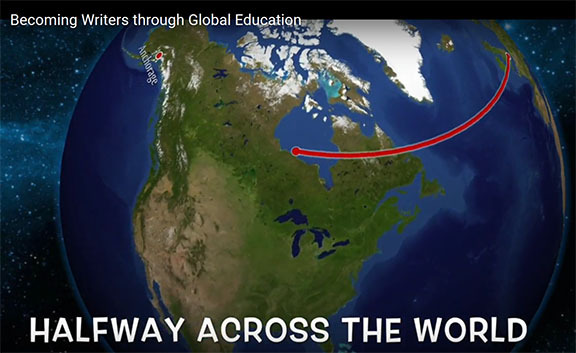 We are excited to have teachers and students around the world share this journey with us! If you are interested, please fill in this survey to get started. You can also email questions. Kid President, also known as Robby Novak, inspires us to care about our world, and each other. 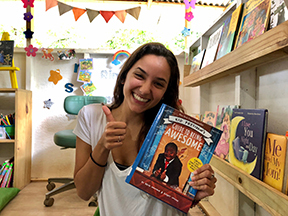 His book, Kid President's Guide to Being Awesome, brings out the awesome in all of us through a variety of tasks, stories, and potential projects. Starting in late August, join us in one mini-project, or as many as you would like, as we discover each other. Each Global teacher/school that gets involved will be sent a copy of the book. Click here to learn more and sign up to participate. All details and resources for mini projects will be located and shared online. Participating schools will be able to see the partner schools mini-projects! Teachers can reach out to each other to do even more. Documenting your project is essential and can be done through text and pictures and/or text and video. These projects are super flexible and are designed to be best fitting for your community. An initial example project is this: Sharing the Love: Kid President shares/teaches us the different kinds of hugs. Let's practice these in our classroom (and take pictures/videos) and then also share/show/teach how we show affection/appreciation in our respective communities! Have fun with this! Alaska is a unique place and lots of people never get a chance to even visit. Sign up in Microsoft Classroom to have Alaskan students to teach your students about Alaska. See our poster project as slideshow or a collage.